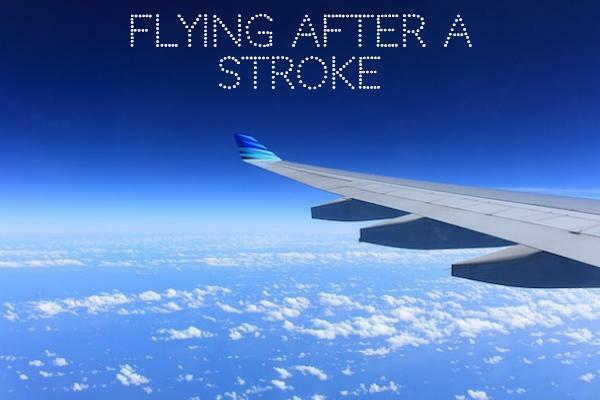 May is Stroke Awareness month and after writing articles about flying with Autism, Diabetes, Sensory Impairments and Claustrophobia, we thought it would be a great idea to shed some light on the hidden challenges that some stroke survivors encounter at airports and when flying. You’ll also hear from stroke survivors and their experiences of flying after a stroke. For the following article, we teamed up with Different Strokes, who provide active peer support for young stroke survivors and families. 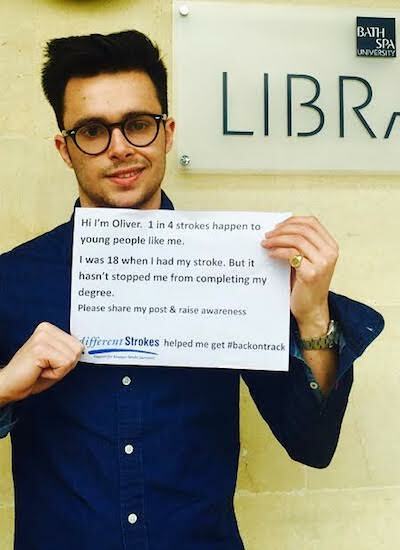 Stroke is a leading cause of disability in the UK and there are over 1.2 million stroke survivors in the UK. Every year in the UK there are 152,000 new cases and at least one in four happens to somebody of working age or younger. Disabilities can be visible or invisible and include paralysed limbs, difficulties communicating and processing information, anxiety and severe fatigue. There can also be difficulties communicating and processing information; including conditions like Aphasia which affects the production of speech and the ability to read or write. Another difficulty which can arise after a Stroke is Dysarthria, a motor speech disorder, which can result in slow or rapid speech, mumbled speech and also limited jaw movement. Both of these conditions can make the airport experience extremely difficult and confusing for those involved. People often ask when it is safe to fly after a stroke. The Aerospace Medical Association Guidelines (2003) suggest it is safe to fly once 2 weeks have passed after a stroke. Airlines, however, have different guidelines to when they allow stroke patients to fly. The British Airways website states: “If your symptoms are stable or improving and you feel well enough, you can travel after 3 days. Please talk to the Passenger Medical Clearance Unit (PMCU) if you have had a stroke within the last 10 days.” Airlines may require the completion of a Medical Information Form (MEDIF), which is available from the medical department of the airline or a travel agent. Our advice would be to check with your own doctor initially who will have knowledge of your medical history, including the cause and severity of your stroke, along with any other underlying medical conditions that may cause a problem. You should always inform your travel insurance about your stroke and about any medications that have been prescribed as a result. “There are three types of assistance possible; the first is suitable if you require help walking distances, but are able to climb steps and make your own way to your seat on the aircraft; the second should be booked if you find climbing steps difficult; and the third provides wheelchair assistance right to your seat, with the use of an on-board wheelchair. It’s important to book the right assistance, as different codes are assigned to your booking depending on which you choose. For all options, you can either use the airport wheelchairs or if you’re a wheelchair user and would prefer your own chair, you can check it in and keep using it right to the aircraft door at some airports. It’s then brought up to the door of the aircraft at your destination. Clarify this with the airline as not all airports allow you to keep your own chair, though most large airports do. Once at the airport an immediate hurdle was the scenario of getting from the drop off point to the check-in desk. Our confusion was due to a lack of information from our airline and I was later told by one of the attendants that this lack of information is common across all airlines. Airlines do promote assistance but we found that simple logistics weren’t communicated. My advice would be to contact the airports you are using regarding drop off arrangements. An important distinction is that airport assistance is run by, or on behalf of, the airports themselves, not your specific airline. Speak with the airport and ask how you let the staff know to come and collect you when you arrive. At Gatwick, for example, there is a specific area where you press a call button and make the team aware you’re waiting. It’s well signed, but only if you know it’s there in the first place. If you’ve booked assistance you and any travelling companions are given priority at check-in, security and on boarding and the whole experience is guided. We moved through our departure airport with ease. Once you arrive at your destination assistance will meet you and ensure you are taken through the airport and its formalities. They will stay with you right up until you get into your onward transport. We found this to be brilliant. Airport Assistance for Non-Physical Disabilities? However, disabilities after stroke can also include an inability to speak or be understood, lack of concentration, poor vision, no short term memory, difficulties processing information and background noise, depression, anxiety, severe fatigue and uncontrollable laughter or tears. The Autism Awareness Approach – a possible solution? Manchester Airport has a scheme which fast-tracks children with autism through security to make travelling easier for them and their families. The airport launched the scheme after recognising that those with the condition can find it a ‘confusing and frightening experience’. Parents can contact the airport ahead of their trip to get a booklet – specific to each terminal – and a video giving children a step-by- step guide of what they can expect. Once families confirm to the airport that their child is on the autism spectrum, they will be given a wristband to wear at the airport to alert staff. Take a look at our Airports and Autism article for more information. The notion of a ‘confusing and frightening experience’ will strike a chord with many stroke survivors, particularly those whose disabilities are non-physical. The question therefore to be asked is whether the same could be done for stroke? Training for staff and a special passenger wristband or carry card system could alert airport staff that a traveller may have difficulties processing information or background noise, may have communication problems, may not look physically disabled but may be too fatigued to stand in queues for long periods, or may be simply left feeling vulnerable as a result of stroke. Would airports be willing to work with us to improve the whole airport experience for those stroke survivors who are struggling with the non-physical aspects of stroke? Great article, I have flown several times since my stroke 7 years out and at this time I would be considered physically OK….on the other hand once I am dropped off at the curb for check in, I have always requested a wheel chair due to fatigue and confusion. No way I can handle my carry ons and long walks to gates. Stress causes confusion , confusion causes fatigue, then I’m rattled and the paranoia sets in. When I request a wheelchair, I still get scared but safely to gate and on plane. I also experience a little anxiety about mid flight. I am wasted when I get to destination. 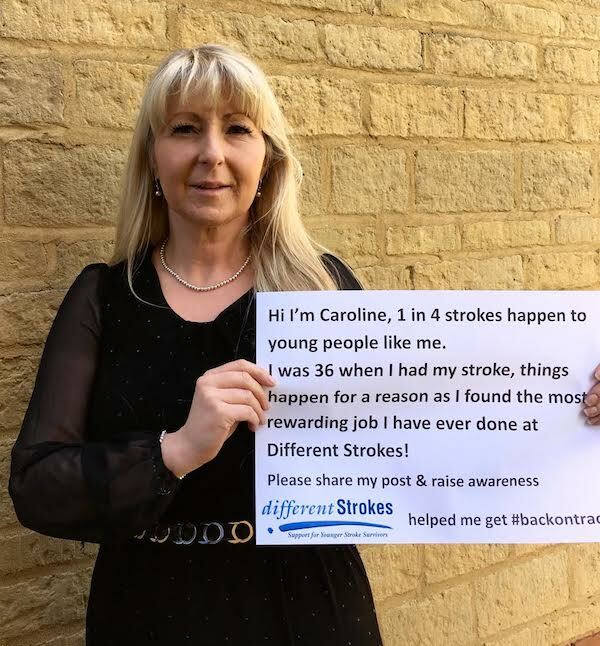 I had stroke in 1997, whilst working for an airline. I flew, and we generally did about 800 flying hours a year. I did go back but I was on the ground, as I was then pregnant. I was treated terribly as 99.9% of people have know idea about stokes, I was given little to no advise,and it was obvious the sooner I was gone the better. Fundamentally, identify what is normal BP for you, the CAA used to say for aneurysms wait six months before flying. A cabin is pressurised for 10,000 feet and therefore not siutablea for such a rapid gain and reduction, especially with clips etc. With other strokes it used to be 10 days before repatriation etc due to the chance of further, or exacerbating situations. With regards to being in the airport, I was ask for assistance, don’t be shy, terminals may be a long way from your aircraft and the moving walkway may not be working, get a lift. That lift will also take you to the right aircraft. Please don’t ask for seats in the exits you are not entitled to them for leg room, those seats are for those able to open the door 80kgs min and help us all get out quickly. Your assistance will be offered at the other end of your flight please remind crew and you will be helped, even to someone like Thomsons if it’s a holiday. If you have a wheelchair and there is space in the forward hold it might be possible for it to be brought to the doors of the aircraft, make sure your tags correspond to that particular flight, tags are not momentoes, if you leave them on your luggage may get lost, as the machines read them and it’s of no used if you have several tags. So get assistance, full stop, it will be one less stressful thing to deal with. Thanks, I salute; Ms. Caroline and Mr. Oliver’s statements will be a great support to people suffering from medical problems. I wish to both of them. Both are brave soldiers, are not in uniform but they have grate determination with huge heart. I ve strike hemorragic a year ago. Planning to travel with my kids with air for more than 24 hours. I asked the doctor she said. Its ok. But nobody knows? Pretty worry myself too. Can i? If you have medical approval from your doctor, you should be safe to fly, however, you will be understandably nervous and apprehensive about the trip. Might we suggest contacting your local stroke awareness charity for further information, or to perhaps speak with someone who has had a similar experience or who can offer more knowledge on the matter? I had a stroke 4 months ago and will be flying next month for the first time. I plan on requesting a wheelchair at the airport. I’m able to walk with a stick, but what would you recommend for showering when a shower chair is not available at my Airbnb? I’m still using a chair at home. Depending on the size of the luggage you are taking, you could possibly take a travel shower chair? A quick Google search brought up a few foldable options for around £25! My husband is 4 years post stroke and is completely paralysed on his right side and confined to his chair. We have avoided flying until now but want to visit family and this involves a 7 hour flight. My question is about toilet facilities. My husband needs help when going to the toilet. What are the facilities like? Are the toilets large enough for a wheelchair plus person? It depends on which UK airport you’re flying from, but some of them offer Changing Places facilities which are spacious enough for people in chairs, usually have an adult sized, height adjustable bench and hoist to help whoever is caring for the disabled traveller. For a list of current UK airports that have the facilities, check out our blog here. I can’t say the same for airports in other countries I’m afraid; you’ll need to research the airport you’re flying to.